The 2018 US Junior Greco-Roman World Team left for Trnava, Slovakia earlier on Thursday. You could say it’s a bit of a haul. If departing from Chicago, Trnava is around 4,700 miles slightly northwest, coming in at approximately 13 hours in the air if there is a connecting flight to catch prior to the final destination. On Wednesday evening, Nate Engel, co-head coach of the Junior squad along with Herb House, was hurriedly running some last-minute errands. He had stopped at a Walmart near his home in California looking to purchase an assortment of Gatorade packets, the kind with the powder you just toss into a water bottle. It seemed a curious enough exercise to inquire about. Engel, he’s never what you’d call harried, but there is no doubt he was rushing to get this done. As he sprint-walked to find the correct aisle, I asked why this task was deserving of such urgency. See, that’s the thing about Engel. That’s why he’s coaching his second age-group World Team just a few years removed from his domestic career. Why he’s now on the staff at Stanford. He’s big into preparation. 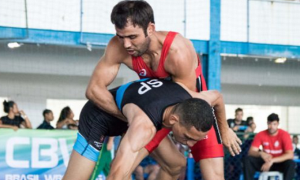 In a sport where control is all but an illusion and chaos reigns not only on the mat but in meetings, airport terminals, and foreign hotel lobbies, Engel likes doing what he can to make it easier on those around him. If he’s prepared, everyone else is, too. It’s an attribute of his that endears him to wrestlers because they know he has their backs. 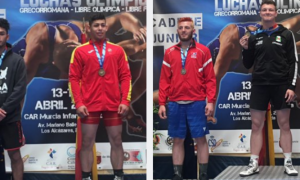 In this case, the key has been preparing a talented Junior World Team that is expected to produce potentially historic results. Despite the experience — and World-level pedigrees — boasted by several of the athletes, time is their most valuable commodity. 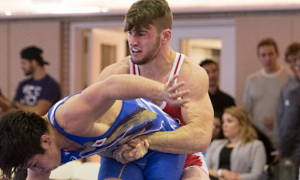 Unlike the Seniors who will have five camps under their belts by the time their Worlds kicks off in October, the Juniors have had two one-week training excursions. 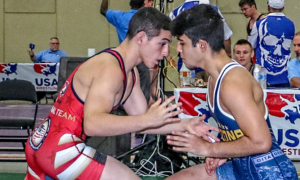 And following those camps, a handful of the wrestlers either began their freshman years in college or returned on campus for the fall semester. 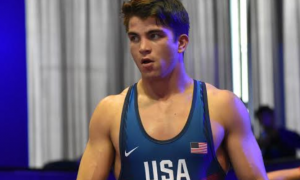 While not ideal, especially for American Greco-Roman athletes gearing up for the World Championships, you get the impression from Engel that the mish-mash nature of the Juniors’ training cycle is almost inconsequential. Most of the wrestlers are battle-tested and mature enough to understand the level of competition that will soon be standing across from them. 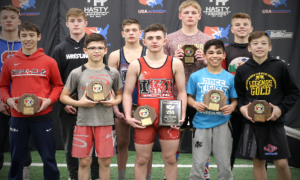 In addition, he and House can rely on stars Kamal Bey (77 kg, Sunkist, 2017 Junior World Champion), Cohlton Schultz (130 kg, NYAC, 2017 Cadet World Champion), and 2016 Junior World bronze medalist Taylor LaMont (60 kg, Sunkist) to lead by example and show the new guys how it all works. But as much as anything else, the coaches’ part in preparing for the main event stands out. Engel is quick to explain the communal approach taken by the US National program. 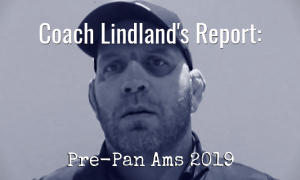 In order for the Juniors to get the instruction, information, and general training plans they’ve needed during the summer, a whole lot of wheels had to turn behind the scenes. The aforementioned camps in Vegas and Colorado Springs represented the two most important weeks of the summer. Though manageable, a lot had to get accomplished, even with a lineup as seasoned and strong as this one. For the first week, the coaches needed to measure the baselines of their charges. The second week at the Olympic Training Center was used for making adjustments and individualizing the plans athletes would take home with them. From then on, it has been a steady diet of calls, texts, and emails between coaches and athletes to ensure everyone is on the same page. You couldn’t help but hear the familiar sounds of corporate commerce whirring in the background. Engel was finished shopping. The Gatorade packets were a no-go but he settled for Propel. Close enough. He still had to make one more stop on a night when all he really wanted to do was shut it down and get to sleep ahead of the morning’s long flight to Europe. Side banter pertaining to the Junior Team kept his juices flowing. Engel, perpetually positive and reassuring, wasn’t speaking in coach-isms for the moment. He shared his excitement about the week in front of him and why he agreed with the consensus that says the 2018 US Juniors might be the best such group this country has delivered in quite a while. So I wondered: just going by Engel’s confidence level, what does he say to the guys in Slovakia before the tournament starts? Is there space for a team gathering, an opportunity to offer an inspirational message that hits home for the athletes with crunch time just a sunrise or two away?